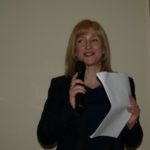 Rosie Duffield, Labour MP for Canterbury, was our guest at the 2018 Labour Constituency Gala Fundraising Dinner held on February 2 at the Hempstead House Hotel, Sittingbourne. 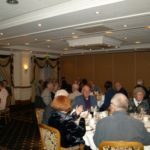 The dinner was attended by members and supporters from Sittingbourne and Sheppey and from neighbouring constituencies as well. Rosie treated us to a fine, impassioned speech on her own trials and tribulations in becoming Kent’s only Labour MP last year and the steps we might take to emulate her success. She then took questions from the floor. 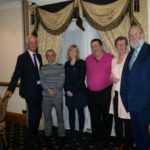 Thanks to Rosie and her Fiancé Michael for attending, to all who helped organise the event and to Hempstead House Hotel for the lovely venue and meal.